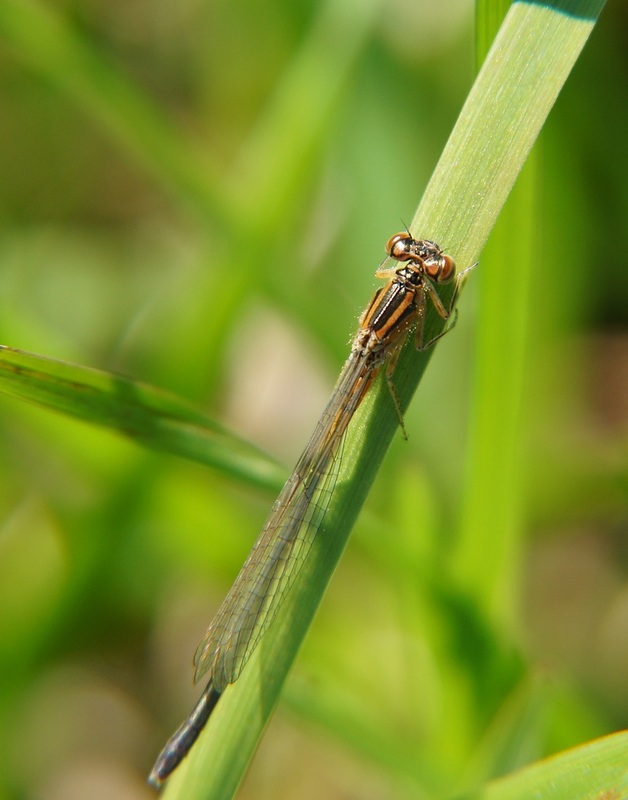 I never knew there were such things as damsel dragonflies, much less seen one! Thanks for sharing. Wow, a damselfly. Good for you, Misty. See you for CC tomorrow (I have so many: we went to the San Diego Zoo). I am so looking forward to the dragonflies as well myself. Just love he little guys. A very sleek and slender damselfly. Nice! Nice find...and picture. I wonder if the forktails here can be orange like your Eastern Forktail. You are way ahead of us. This is gorgeous. I've been keeping my eyes peeled for my first damsel or dragon. I can tell! I'd be excited if I could ever manage to get even one shot of either a damsel or dragon. Whether they were a lifer or not. Heck, I'd be excited if I just knew the names of the varieties I see. I'm always happy to see and admire them though! Thanks for sharing your beautiful picture..and your enthusiasm...and for hosting the meme. I'm with you! I saw my first butterflies today, Eastern Tailed Blues, I believe. I could also see Morning Cloaks way up in the trees. (The leaves are not out yet.) It's going to be a while before I get my dragons. But I'm with you and I certainly understand your excitement. Great sighting and photos, Misty! I hope you are having a great weekend! Nice capture! I actually saw a dragonfly last weekend, but he wouldn't stop long enough for me to get a decent shot. I'm excited, too! Love these critters. I understand that you are happy about the first damselfly shot of the year. Beautiful captured!